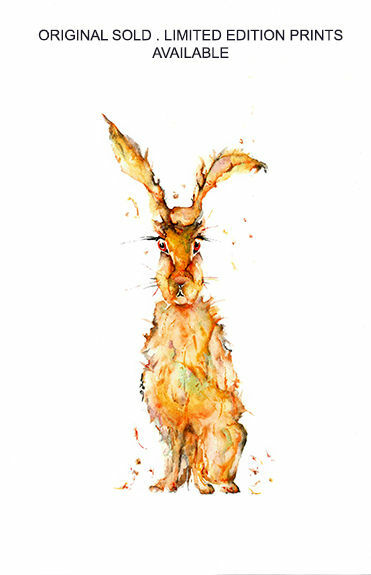 My original of Listening Hare has sold. Should you wish to purchase a limited Edition Print, please do so by clicking on the drop down arrow below. Prints are limitd to only 25. Signed and numbered. Securely packaged to ensure they ar ereceived in perfect condition.